The color challenge for the Global Design Project 025 is so much fun! 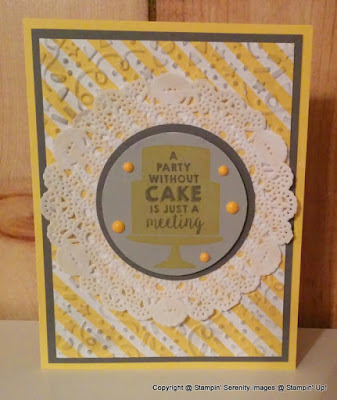 For this card I used the Party Wishes stamp set along with the color trio of Smoky Slate, Basic Gray and Daffodil Delight. I embossed a piece of Daffodil Delight striped paper from the Brights Designer Series Paper Stack using the Confetti Textured Impressions Folder and sponged a little bit of basic gray to give it more dimension. I added a tea lace paper doily and layered the circle collections framelits over it. 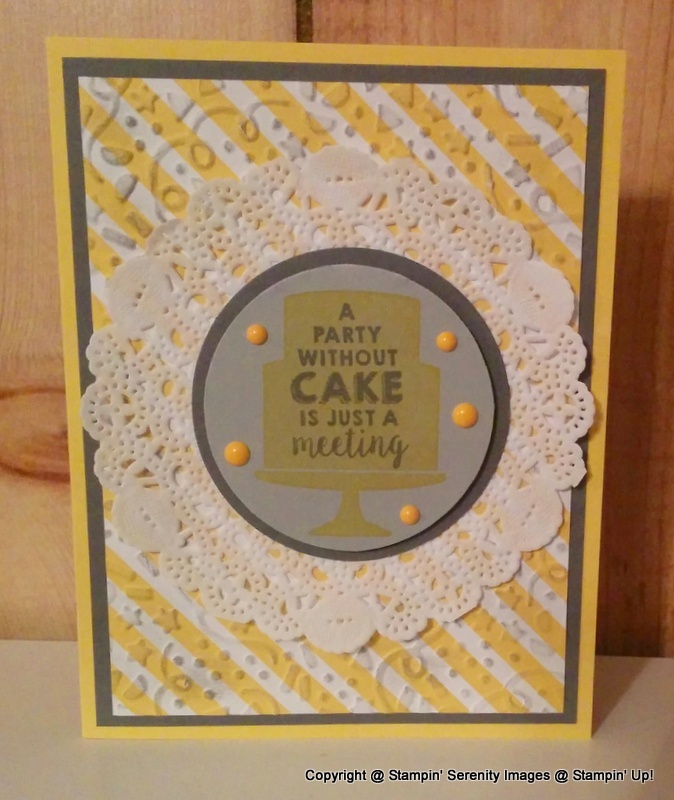 I added a few It's My Party Enamel Dots to finish off this birthday card. Head on over to the Global Design Project and check out all of the projects or play along! 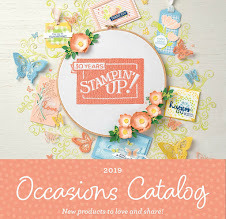 SHOP all of these great Stampin' Up! 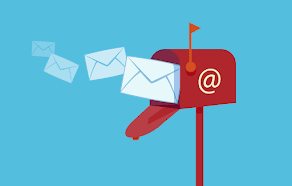 products! I get excited by really simple things, so seeing your idea of stamping the card on Smoky Slate totally made me happy! It looks great, I would just go straight to white but seeing how great it looks I am going to challenge myself and stamp on coloured cardstock for a feature. Thanks for playing at Global Design Project and sharing your ideas. 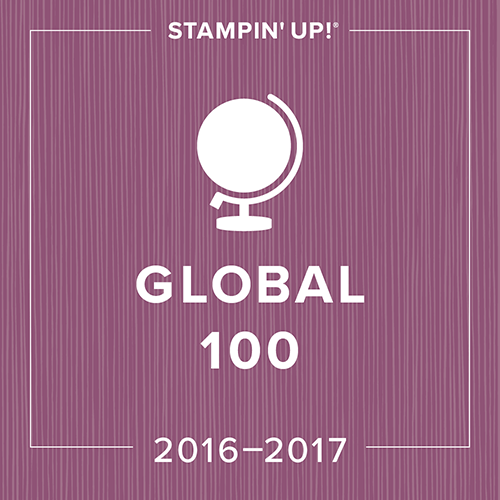 I cased your stamping on natural cardstock over white or vanilla and gave you a shout out. Thank you again for the inspiration. 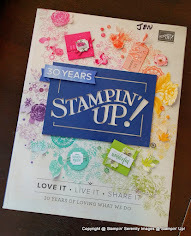 Jennifer, I love the way you stamped the background DSP...great idea. 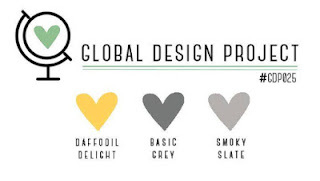 Thanks for joining us for our color challenge this week at Global Design Project. Such a fun card, Jennifer! I love the stamping on the dsp.